October 19th, 1781-a British Army under Major General Lord Cornwallis marched out of their entrenchments at Yorktown Virginia and surrendered to General George Washington commanding the American forces and to Lieutenant General de Rochambeau commanding the French. 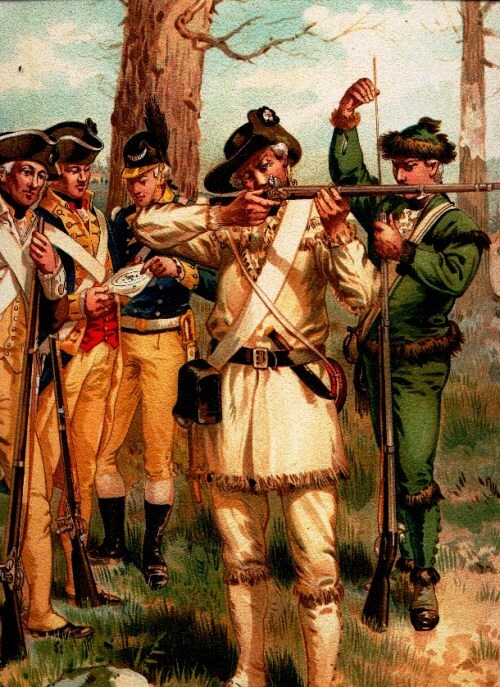 The Revolutionary War would go on for another two years but after Yorktown the British would never try again to subdue it’s rebellious colonies. Cornwallis was denied the honors of war because the British had denied General Benjamin Lincoln those honors when he surrendered Charleston in 1780. The story of how the Americans managed to win and the British managed to lose is a fascinating one. The story is well told in Richard M. Ketchum’s book, Victory at Yorktown. The story begins with General Washington entertaining ideas of driving the British out of New York City. He cannot without the help of the French but the French do not come as long as the British control the seas. In the meantime Washington’s Army is falling apart. It has virtually nothing of what it needs to wage war. In fact, Congress and the 13 future states seem disinterested and war-weary as well as broke. The Army is held together by the force of Washington’s personality and legendary patience. George Washington in the pre-war years. 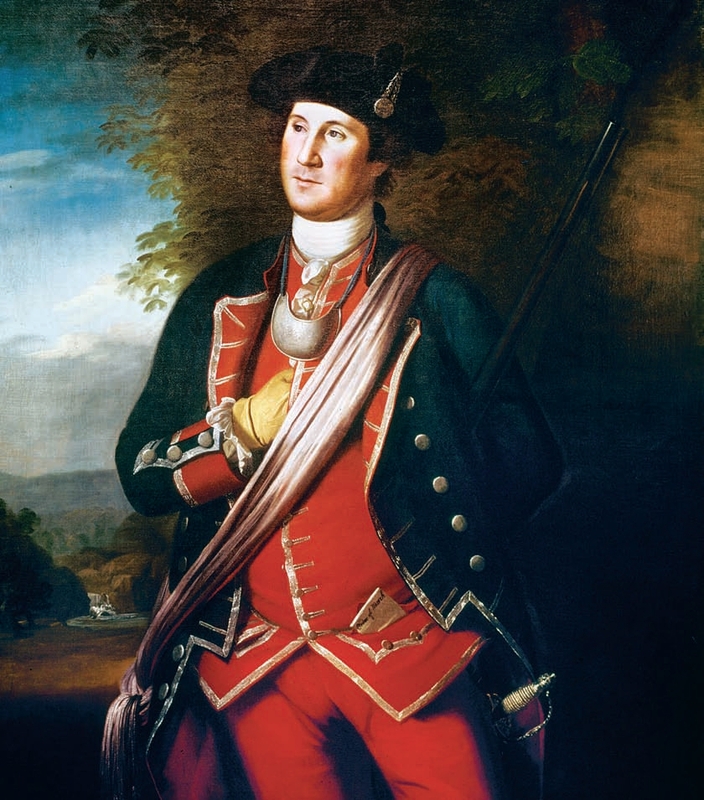 Washington was an officer in a Virginia Regiment and saw service in the French and Indian War. Food is not sufficient if available at all nor have the soldiers been paid (in worthless Continental script). The army is starving, desertion rates are high and the soldiers that remain are clothed as ragamuffins. 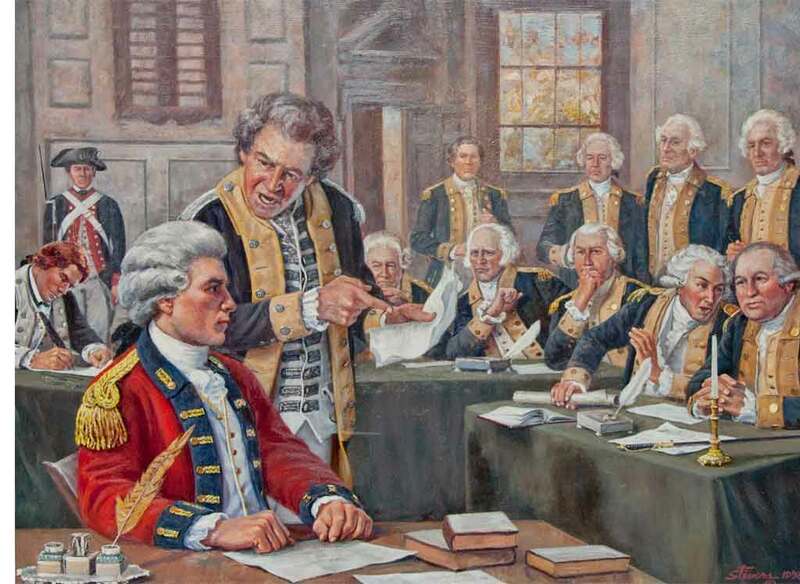 Benedict Arnold is about to betray the key post of West Point to the British and should General Clinton’s Army in New York be aggressive it is likely the Revolution would be lost. The Yorktown Campaign would turn everything around. Some would call it a miracle. Few Americans at Yorktown would be this well dressed. 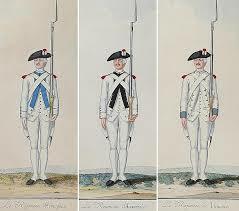 The French Regiments at Yorktown were dressed in white uniforms. 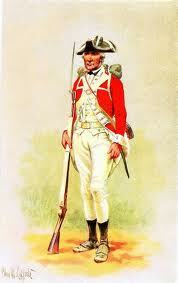 The British changed into new uniforms prior to marching out of Yorktown to surrender. The contrast between the well dressed French and British to the ragamuffin Americans could not have been greater. The British are actively winning but have problems of their own. They have an impossible 3,000 mile supply line and are at war with France, Spain and Holland. Their Generals and Admirals barely tolerate one another and sometimes hate each other. In addition to this they consistently underestimate Washington and his forces and seem content to let the Revolution burn itself out (a very real possibility I might add). 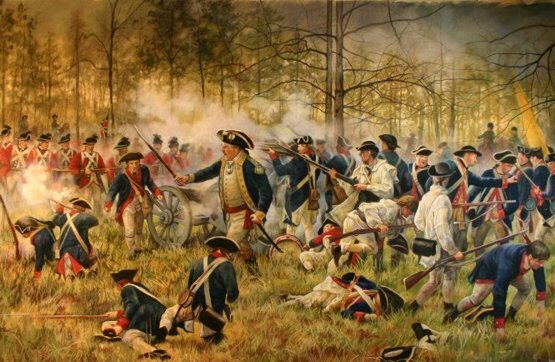 On the other hand they have taken Charlestown in South Carolina and would win a major battle at Camden as American General Gate’s forces are scattered. Battle of Camden. The British were commanded by Cornwallis. At one point Cornwallis ordered his artillery to fire on his own forces who were engaged in hand-to-hand combat with their American counterparts. Ironically, Cornwallis was a Whig and favored the colonists in Parliament. Still, it did not stop him from doing what he could to conquer the south. It’s the lowest point of the war since the professional British and Hessians routed Washington’s forces in 1776 on Long Island. They would lose the Yorktown Campaign not for lack of bravery but because all the variables the Americans needed to trap Cornwallis’ forces fell into place. When the British marched out of Yorktown to surrender their band would play the World Upside Down and indeed it was. Ketchum tells the story of the turn around relying on primary sources that include letters, diaries, messages between commanders and everything else that was written while the drama unfolded. Ansbach Jaeger. The German forces that fought on the British side were not really mercenaries. They were hired out by the princes of their various states. The ordinary soldiers were paid by the British. 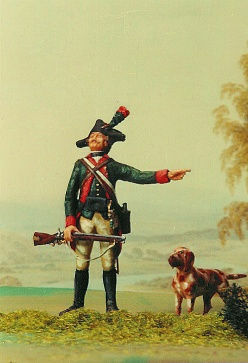 Jaegers (meaning hunters) were highly prized because their rifled muskets had the range of their American counterparts. Using the primary sources gives the reader insight into how the various leaders got a long, the time is took to send and receive a message as well as the strategies that were involved. The chapter on traitor Benedict Arnold and the heroic Major Andre alone was worth the price of the book. The trial of Major Andre. Washington offered to exchange Andre for the traitor Benedict Arnold but British General Clinton could not or would not do so even though he was fond of Andre. Andre on the other hand impressed the Continental officers with his bravery and honesty. He courageously faced the gallows that Arnold should have faced. Without the exchange Andre never had a chance largely because the British hanged Nathan Hale some years before. Ketchum has written three other books on the Revolutionary War including one on Bunker Hill, Trenton and Princeton and Saratoga. I enjoyed Victory at Yorktown so much that the other three books are now on my ever-expanding wish list.